Gravity Wall Systems is a smarter alternative to Gabion Baskets and Reno Mattresses. 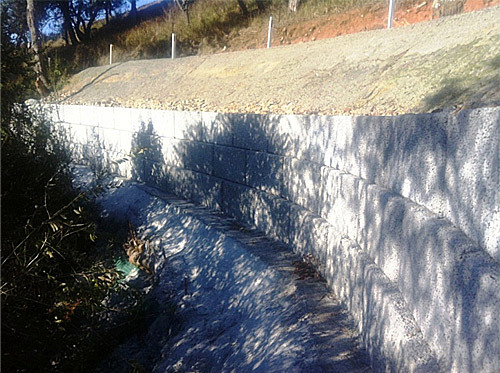 The Graviti™ Blocks retaining wall system comprises large precast permeable concrete blocks manufactured under stringent quality control. 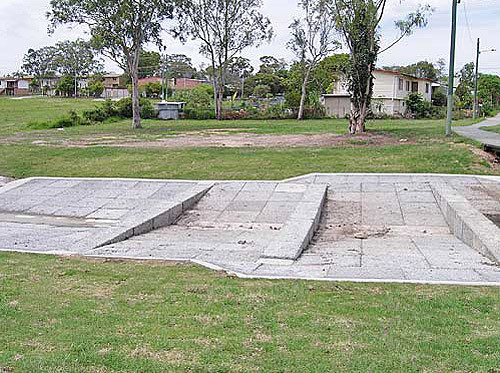 Gravity Wall Systems are Australia’s premier Graviti™ Mass Block manufacture company. 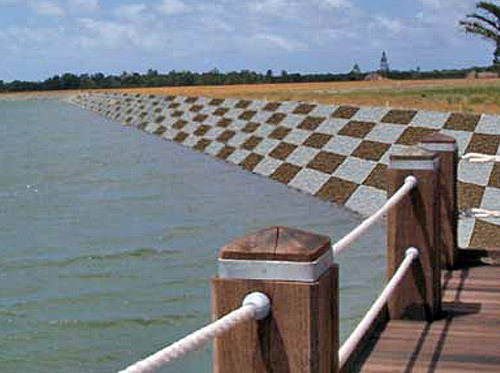 We use quality assured GRAVITI® products such as GRAVITI® Blocks and GRAVITI® Mattress as a real cost saving and faster application where in the past Gabion Baskets, Gabion Mattresses and Geotextiles are used, for the construction of weirs, retaining walls, decorative facades, weirs and much more. 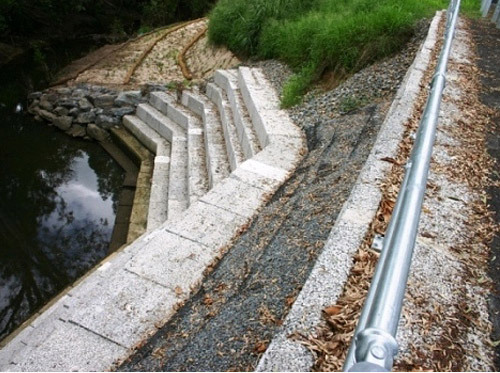 Where in the past Gabion Baskets, Gabion Reno Mattresses and conventional Solid Concrete Blocks have been used, GRAVITI® products can be effectively utilised in a number of environmentally sensitive terrestrial, marine and freshwater locations. 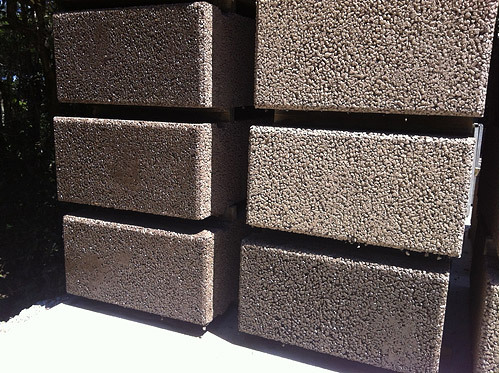 GRAVITI® products are aesthetically pleasing, have design flexible, are extremely permeable, cost effective, environmentally friendly, long lasting (with certified 100 year design life) and are the obvious choice for any, commercial or government project and can be used in some domestic situations. 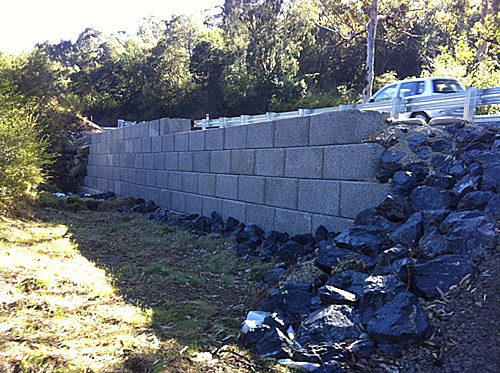 GRAVITI® Block retaining walls are economical, easy to transport and quick to install. 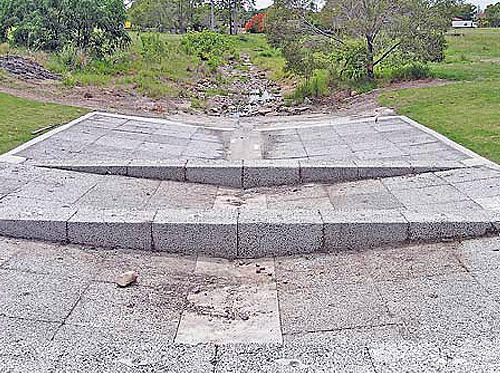 The precast permeable mass concrete blocks ranging in size from 1 tonne to 4 tonne interlock to create permanent retaining structures that can be rapidly deployed to counter erosion, land slippage and wave energy. 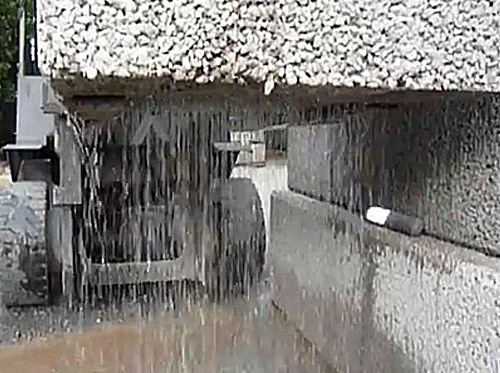 The system is ideal for cut and fill installations roadside slip rehabilitation, creek bank scour rehabilitation and any situation where a stable, permanent, permeable retaining structure is required. 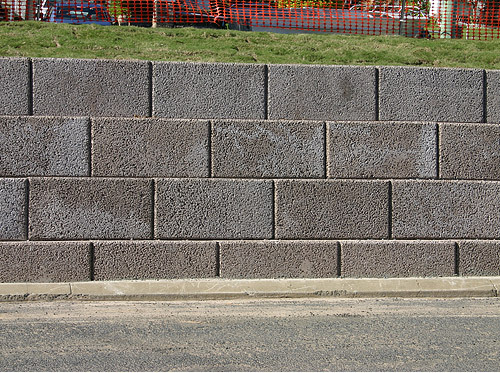 The GRAVITI® Block retaining wall system comprises large precast permeable mass concrete blocks manufactured under stringent quality control. 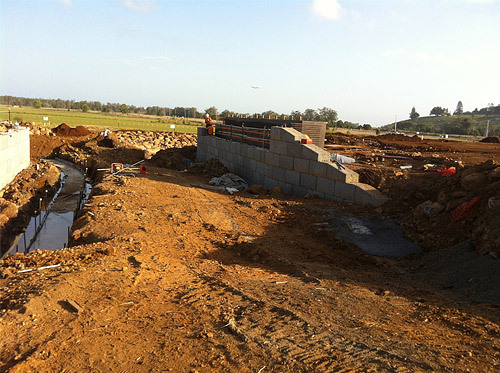 Construction is mortar less and an experienced crew can place up to 80m2 of wall per day. The blocks are interlocked by a key joint precast into the blocks.